3950001 HD1023 III, HD1023 III-LC KATO HD1023 III, HD1023 III-LC Excavator. Operation and maintenance manual. (Russian language). 3950002 HD1023 III KATO HD1023 III Excavator. Parts List. 3950003 HD512 III KATO HD512 III Excavator. Parts List. 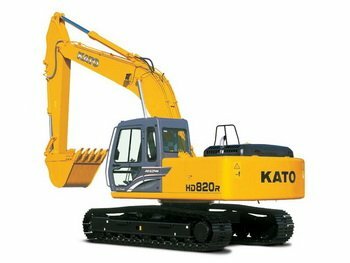 3950004 HD820 III KATO HD820 III Excavator. Parts List. 3950005 HD1430 III KATO HD1430 III Excavator. Operation and maintenance manual. Service and repair manual. (Russian language). 3950006 HD1430 III KATO HD1430 III Excavator. Parts List. 3950007 HD2045 III KATO HD2045 III Excavator. Parts List. 3950009 SR700LS, MS200 KATO SR700LS, MS200 Crane. Operation and maintenance manual. (Russian language). 3950010 ACS, SR300LS, MS200 KATO ACS, SR300LS, MS200 Crane. Operation and maintenance manual. (Russian language). 3950011 SR300LS KATO SR300LS Crane. Operation and maintenance manual. Service and repair manual. (Russian language). 3950012 SR700LS KATO SR700LS Crane. Operation and maintenance manual. Service and repair manual. (Russian language).